Tonight’s movie recommendation is The Bucket List directed by Rob Reiner and it’s a movie that touched me as a sarcoma survivor and as a lover of good stories. There’s a wicked sense of humor that I think is often a requirement as a cancer survivor and a heart touching buddy story that will bring you to tears. Two very different men dealing with terrible cancer diagnosis’s (if that’s spelled wrong, just overlook it, as it’s late and I’m tired), coming together to take on unlimited adventures from their “bucket list” and learning from each other’s differences. 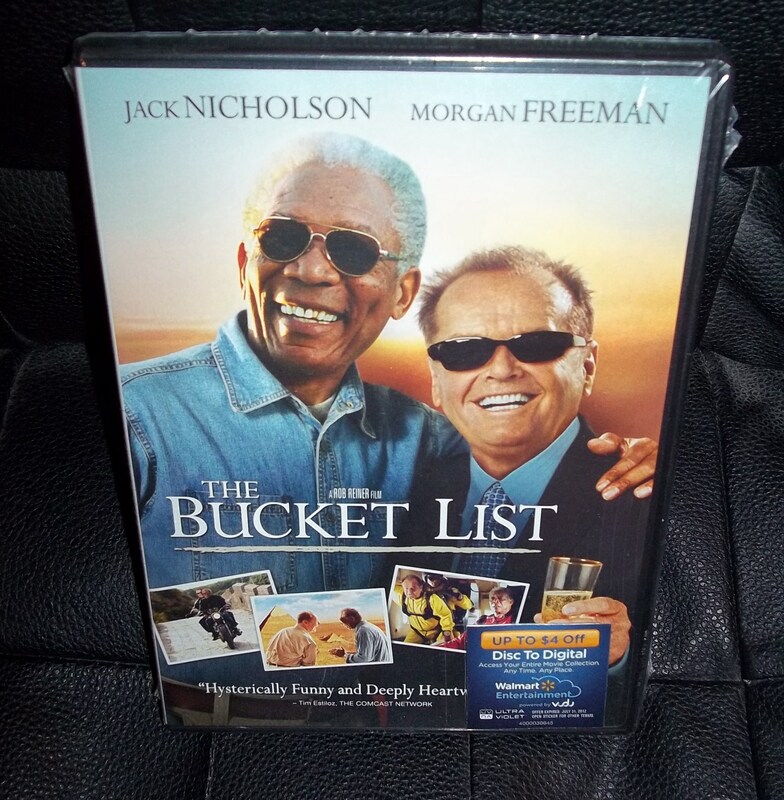 Roles played wonderfully by Morgan Freeman and Jack Nicholson, with heart and humor. Added sparkle brought in by Sean Hayes playing Nicholson’s assistant, Thomas. There are some seriously crazy stunts and sparks flying throughout, taking you from a hospital room, fighting for survival to racing cars and skydiving on a crazy road trip. A movie with a lot of heart and soul, as well as great belly laughs. Just the pick-me-up a person needs, as well as inspiration to live our best and biggest life.